A 100 line video slot (5x5) with a stacked wild feature (on all reels) and 15 Free Spins, where wins are tripled. This video slot is one slot you will want to play 100 times over because it has 100 paylines and a 5 x 5 slot layout! It will definitely worm its way into your heart! Cashapillar is a bug bash! A place where all different bugs get together to have a party, and the opportunity for you to win bug, err…big! All 5 reels contain the new feature of stacked wilds, whereby a maximum of 5 wilds can appear one on top of each other – allowing for a “stack” of wins! Not to forget, that each time the wild substitutes to complete a win – that win is doubled! Finding 3, 4 or 5 cakes – the most important treat at any party, triggers 15 Free Spins where all wins are tripled…these little creatures sure know how to party. Join Cashapillar and friends for a cash bash you won’t forget! 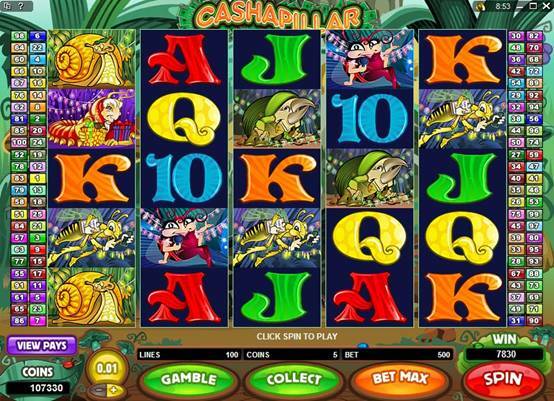 With as many pay-lines as a centipede has legs, Jackpot City Casino's latest new game is the biggest video slot ever launched, with Wild, Scatter, Freespins, Multiplier and Gamble opportunities wrapped in a fun insect birthday party theme - we've called it CASHAPILLAR. 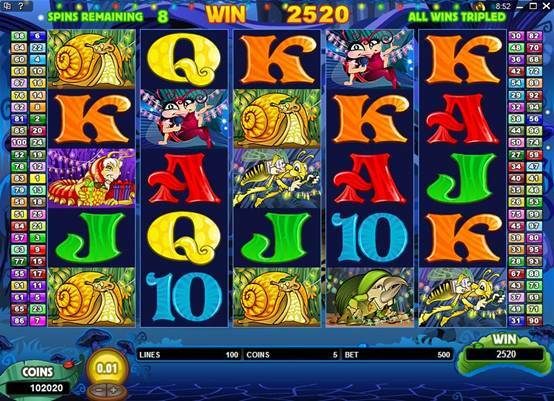 This massive 5 reel, 100 pay-line video slot will worm its way into a player's heart because it introduces the 'stacked wilds' concept on all reels for the first time. Here a maximum of 5 'Cashapillar' wilds can appear vertically stacked to create a win bonanza - and every time the wild substitutes to complete a win, that win is doubled! The centerpiece of the friendly creepy crawly party is the birthday cake; get 3, 4 or 5 of these sweet symbols and 15 Free Spins are triggered where all wins are trebled, and when the Cashapillar appears there's a special 6x multiplier gift as a birthday present. This remarkable new game has remarkably good chances for reward, too. 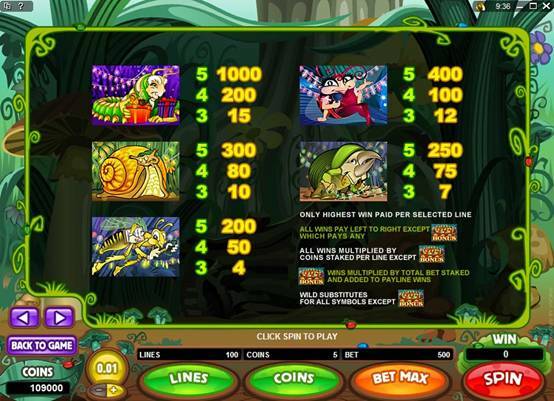 Up to 2000 in the base game and 6000 coins in Free Spins can be won per line. 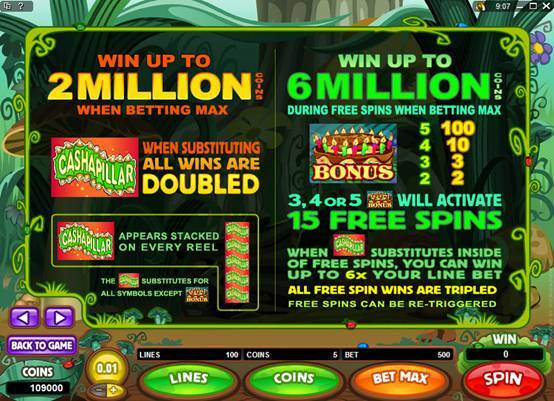 This translates to a maximum win across all paylines of 2 million coins in the base game and 6 million coins on Free Spins. 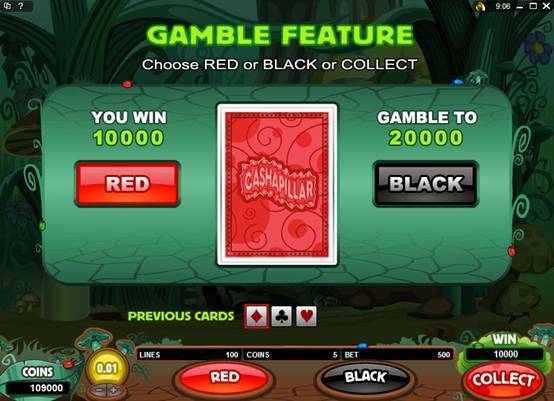 That's enough hard cash for a player party of note, so why not visit the Cashapillar garden thrash and give this great new game a full-on bash!